Tesla to build its largest battery storage plant in southern Calif.
Panasonic has developed a flexible lithium ion battery for use in wearable devices that maintains its electrical characteristics even after repeated bending. The battery means more freedom for designers of wearable devices, who are currently constrained by the need to inflexible areas to hold the battery and some electronics. 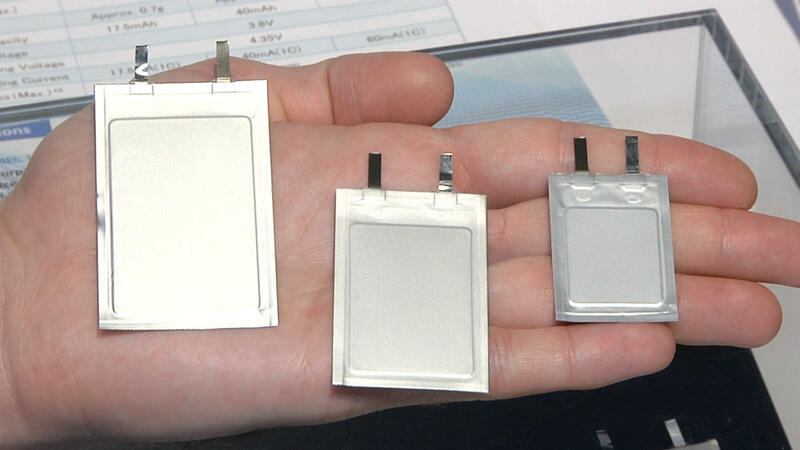 Three prototypes of the battery are on show at this week's CES in Las Vegas. The largest is 40mm by 65mm, the medium size is 35mm by 55mm, and the smallest is 28.5mm by 39mm. 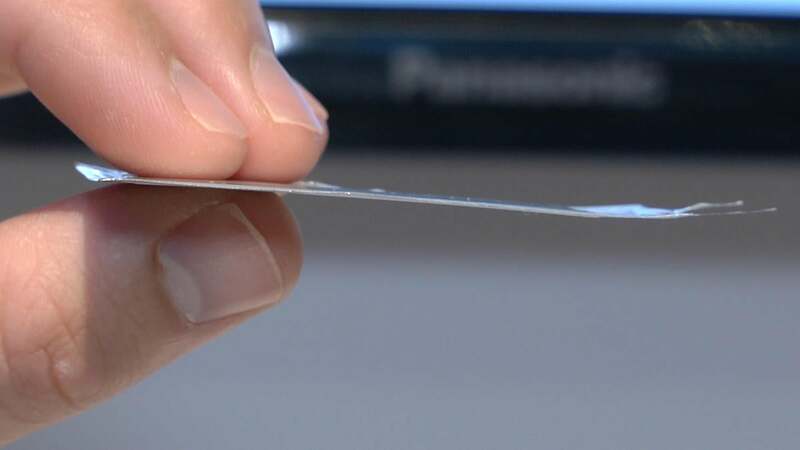 All three are just 0.45mm thick -- that's considerably thinner that a credit card, which is 0.76mm thick. They can be bent up to a radius of 25mm or twisted to an angle of 25 degrees. A prototype flexible lithium ion battery developed by Panasonic on show at CES in Las Vegas on Jan. 6, 2017. The batteries weigh just a gram or two and output 3.8 volts. The batteries are small enough to be embedded inside credit cards or similar sized card systems. Batteries currently used in such cards degrade faster than normal because of the flexing and twisting they experience from being in a wallet. The new batteries, which are still under development, don't suffer from the same problems. Flexing up to the 25mm limit results in a loss of just 1 percent of capacity. Panasonic is one of the world's largest lithium ion battery makers. It produces cells for numerous applications, from consumer AA cells to the batteries used in electric cars. The company is in a high-profile partnership with Tesla to supply batteries for its cars from the custom built Gigafactory in Nevada.